Another top Chinese official called for stepping up credit support for the private sector as China’s economic expansion slowed to its weakest pace since the financial crisis. 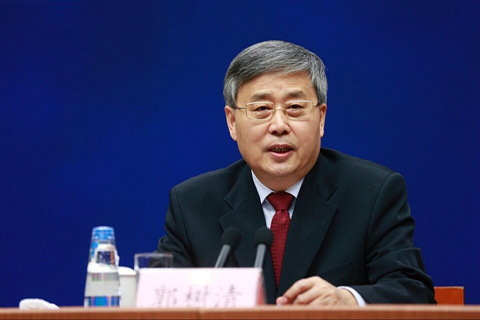 Although the private sector accounts for more than 60% of the economy, it receives only 25% of the loans, Guo Shuqing, chairman of the China Banking and Insurance Regulatory Commission (CBIRC), said in an interview published Wednesday in a state-run newspaper. In the long term, banks’ credit support for private enterprise should match the private sector’s share of the national economy, Guo said. Guo suggested a goal that no less than 50% of new corporate loans go to private companies in the next three years. Under his proposal, at least a third of big banks’ new corporate loans and at least two-thirds of small and medium-sized banks’ new corporate loans should go to the private sector, he said. Guo also called for banks to treat state-owned and private enterprises equally and to evaluate enterprises based on their governance, risk control capability, technical development and market demand rather than their ownership and scale. Guo is the latest top government official to address the financing difficulties of private enterprises. The country’s financial authorities have already taken a series of steps to encourage banks to expand loans to the private sector and promote private companies’ bond issuance. On Tuesday, central bank chief Yi Gang proposed a three-pronged policy portfolio to increase bank loans, debt and equity financing for private firms. Last week, China’s President Xi Jinping convened a “symposium” to hear the views of dozens of representatives from the private sector. Xi called financing difficulties, market pressure and transformation urgency the “three mountains” pressing on private enterprises. He pledged more measures to help cash-starved private businesses, such as tax cuts and bailout funds. The People’s Bank of China has pumped out a net 2.3 trillion yuan ($332.60 billion) in liquidity this year by cutting banks’ reserve requirements four times. In addition, the central bank last month announced plans to provide 10 billion yuan to China Bond Insurance Co. as credit support for debt sales by private enterprises. 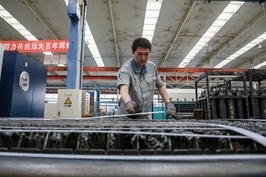 That was on top of measures to add 150 billion yuan of relending and rediscount quotas targeting the financing needs of micro and small businesses, following an earlier 150 billion yuan of similar quotas issued in June. With the chorus of calls for support from top leadership, however, some worry that banks may face rising risks when expanding credit for the private sector. Zeng Gang, a researcher with the China Academy of Social Sciences, said banks still need to weigh their risks comprehensively and identify businesses with long-term development potential in line with the government’s economic restructuring policy. 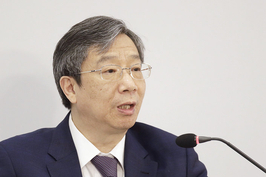 Addressing the financing difficulties of private, small and micro enterprises cannot rely on easing risk controls or lowering credit standards, said Wang Zhaoxing, vice chairman of the CBIRC, at a media briefing Tuesday.